From Doug Turnbull’s personal collection! 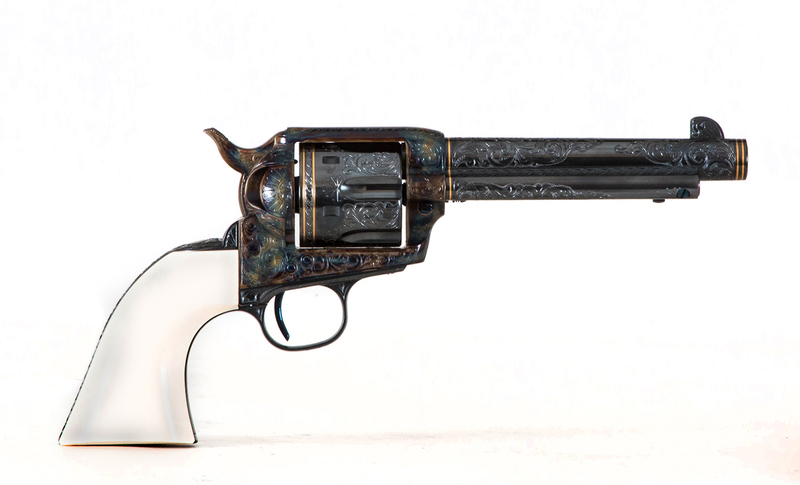 This is a Turnbull SAA serial #1 in .45 Colt. 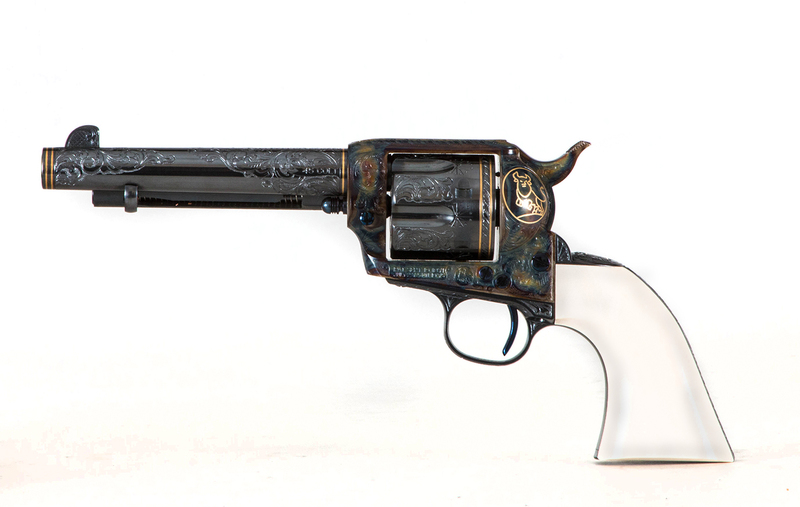 This revolver comes straight from Doug Turnbull’s personal collection. 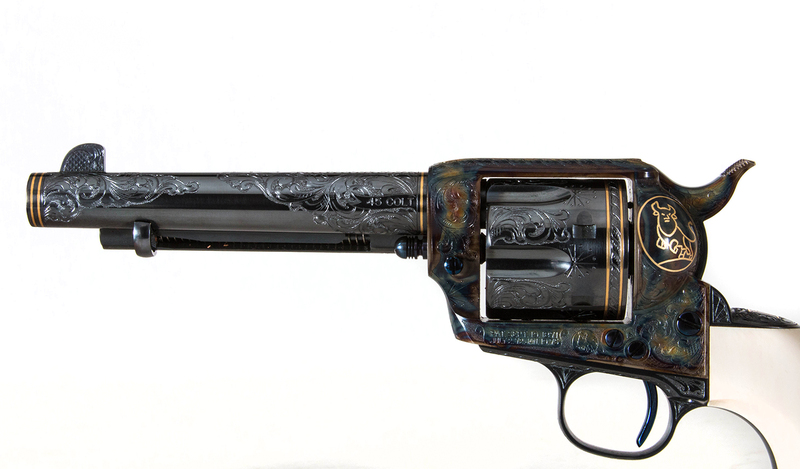 It has ivory grips, color case hardened frame and hammer, charcoal blued barrel, and nitre blued parts. 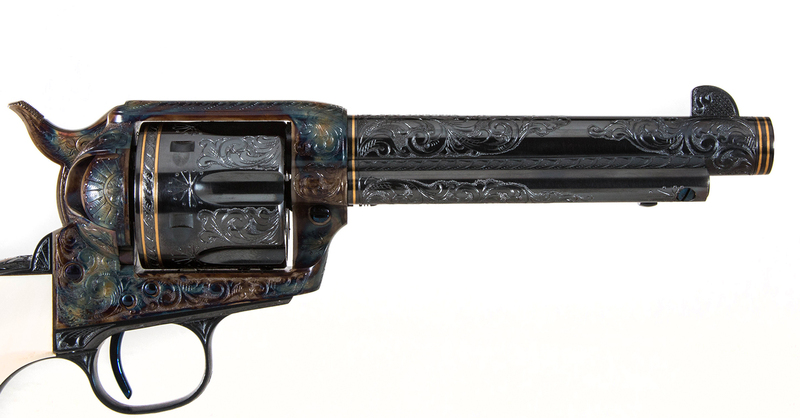 This revolver is truly one-of-a-kind! 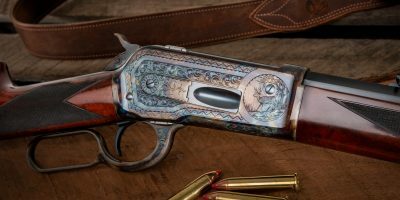 It has gold inlaid rings around both ends of the barrel and around the cylinder. 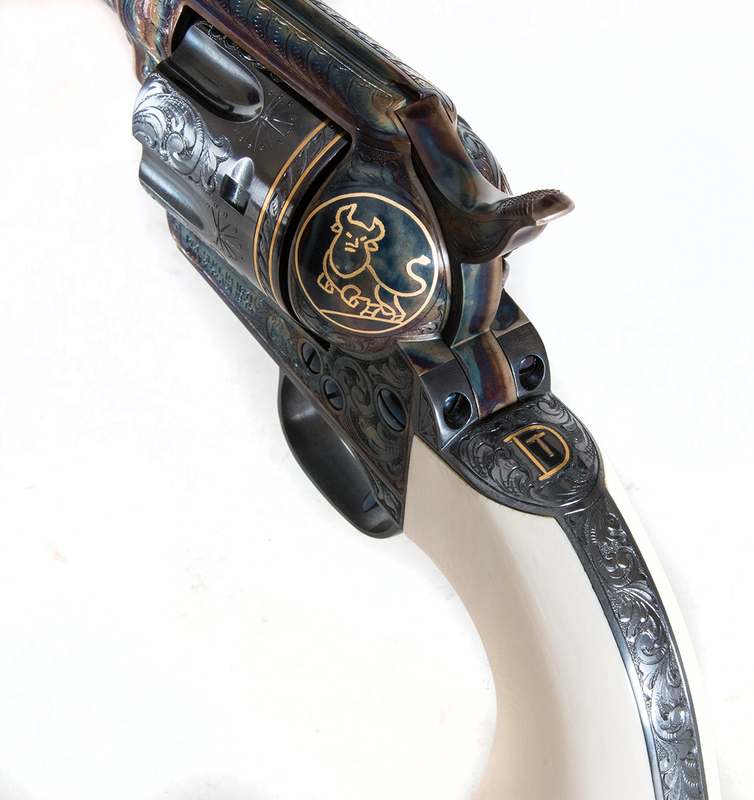 It also has Turnbull Manufacturing’s “turning bull” logo and Doug’s initials inlaid in gold. 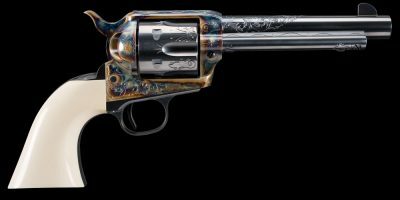 The revolver is intricately engraved by a Colt Master engraver, using a classic Colt scroll engraving pattern with D master coverage. 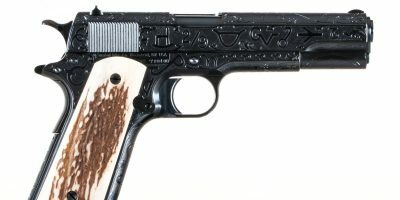 It has hardly been shot, and is in almost-new condition. 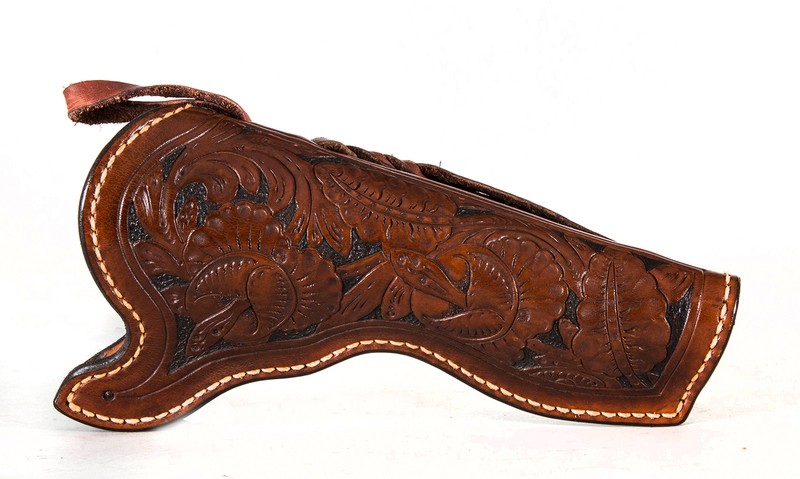 The revolver comes with a custom brown leather holster made by B. Del Grosso out of Sierra Vista, AZ. 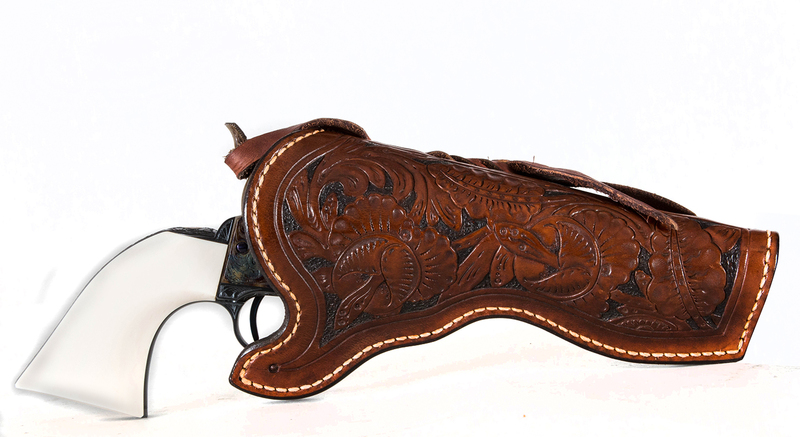 Call today to own a gun straight from Doug Turnbull’s personal collection!